New Neck Band Shrink Tunnel, Model BSS-1538C. 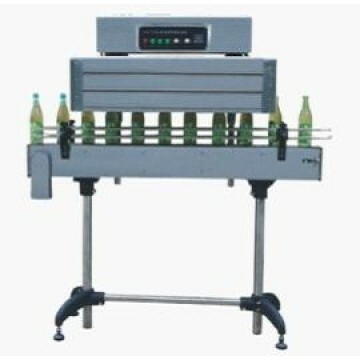 Unit is used mainly to shrink label products onto the neck area of glass or plastic bottles. Comes with Shrink Temperature and Adjustable Conveyor Speed Controls. Can be used with the following films: POF, PVC and PP. Tunnel Size measures 40” L x 6” W x 15” H. Can handle containers up to 4.2” W x 14” H. Overall dimensions of the unit are 60” L x 14” W x 60” H. Electrics: 220 Volts/1Ph/60Hz. Delivery Timeframe: 4-5 weeks from receipt of 65% Deposit.